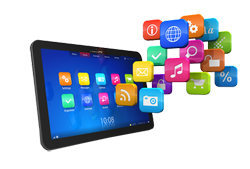 Transforming your vision into web and mobile applications using the latest technologies. Specializing in transforming your business processes using Sales cloud, Service cloud, Marketing Cloud, Chatter, Communities and Salesforce1 mobile. Mobile usage is at 25% of total web usage and growing at 14% Y/Y. Get your company to the mobile platform. Empower your employees, partners and customers to collaborate faster and better. We can help. Call us now. Flairwave’s top priority is delivering intelligent best-in-class solutions for our clients. Our Mission is to transform your vision into cutting-edge CRM and Mobile solutions that work for you and your customers. Customer Service is our #1 priority.